WASHINGTON, DC, US, April 4, 2019 /EINPresswire.com/ -- A stunning Grand Opening ceremony and a concert filled with celebration was brought to Washington, D.C. and other Churches of Scientology around the world. The religious group gathered to watch the filmed opening event and concert, which celebrated a new Church for advanced Scientology counseling as well as a Scientology headquarters which will serve as the center of its social betterment outreach activities for the Rainbow Nation and all of Africa. 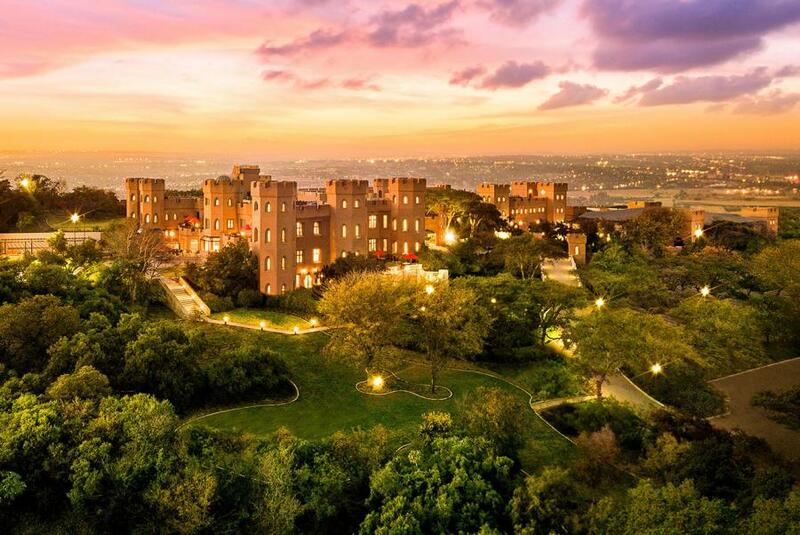 The events of the opening of the Castle Kyalami atop a plateau that Zulu tribal people once called “The Place in Heaven.” The event was a celebration of hope, spiritual freedom, and yet another milestone in the history of the Church of Scientology. The new church and headquarters for all of Africa is on the sacred hilltop at Midrand and includes 22 acres. The view overlooks the vast and rich lands of South Africa, a vision spanning endless miles in all directions. The Grand Opening ceremony itself dug into the Church’s deep well of social partnerships in Southern Africa. Dignitaries welcoming the crowd and honoring the Church included Brigadier Sthembiso Shobede-Nkosi of the South African National Police; Apostle Matome Modiba, Executive Secretary of the National Interfaith Council of South Africa in Gauteng Province; Michael Tshishonga, the nation’s former Deputy Director General of Justice; and the Rev. Gift Moerane, Secretary of the Council of Churches in Gauteng and advisor to the South African National Peace Accord. During the opening ceremonies, Mr. David Miscavige, ecclesiastical leader of the Scientology religion, standing before the crowd of thousands gathered, spoke to the monumental nature of this unprecedented grand opening. The 87,000-square-foot Castle Kyalami stands in testament to the religion’s commitment to helping create an Africa that can fulfill its unlimited potential. The Castle’s panoramic views quickly captivate visitors, and the Castle’s 12 crenellated turrets and eight-inch-thick walls give it a unique ambience. The elegant interior augmented by Italian marble floors, mined from the same quarries used by Michelangelo, lent its own special atmosphere to the spectacular grand opening. In Scientology, some upper levels of spiritual counseling require the parishioner’s full-time participation for a period of several weeks in order for the person to achieve the full spiritual benefits of the religious service. Thus, the Church maintains religious retreats, away from everyday distractions. These retreats provide the ideal environment for advanced religious studies and spiritual counseling. While freedom from distraction is important during all counseling, it is vital at the most advanced levels. 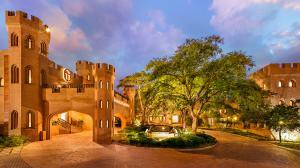 Castle Kyalami is that advanced religious retreat for all of Africa. The inauguration of the new Africa headquarters and its new Church for advanced Scientology spiritual counseling, embodies the realization of a dream first expressed in 1966 by L. Ron Hubbard, Founder of the Scientology religion. He sought to bring the messages of Scientology on human rights and social betterment to the land of apartheid—where, at the time, and for three decades to come, freedom was only a dream for tens of millions of Africans. In fulfillment of that vision of freedom, Scientology has opened numerous churches and missions across the continent over the past 50 years. Now, with the establishment of Castle Kyalami, the number of spiritual and humanitarian resources has grown exponentially. 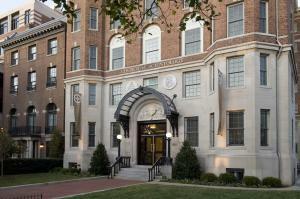 The Founding Church of Scientology in Washington, D.C. celebrated the opening with enthusiasm, food, and fellowship in its 200 person Chapel.